Every one gets calls from unknown numbers on their smartphones, and there are apps like Truecaller that help tremendously in identification of such callers. Now, Facebook has thrown their hat in the ring and have come up with a very similar similar app! To see who is calling you, you need to install the Hello App ( Called Hello Caller ID & Blocking )which is available in the play store. All you have to do is integrate your Facebook account to the caller ID app for better results. By this, you will be able to see the caller’s name, his/her birthday, etc which will be synchronized from the person’s Facebook account which is already available to you. It is quite obvious that when you are using the caller ID, you want to block the unwanted right away! 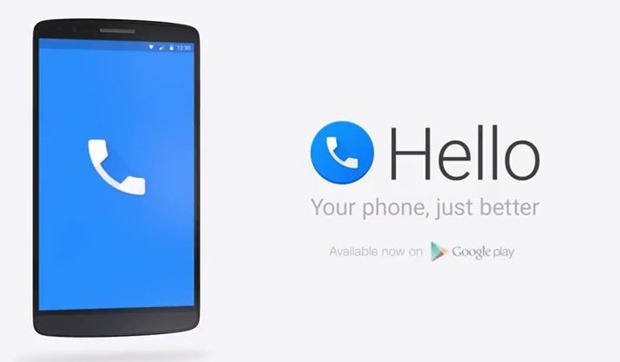 By using Facebook Hello, you can block the call directly when the person is calling you. In fact, it automatically blocks the number which has been blocked by many. This is something you could not do with TrueCaller! 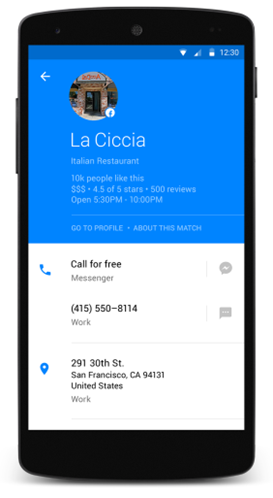 With Facebook Hello, you can easily search the places around you. And if the place, hotel or public place already has a Facebook page, you can directly call them with the number provided on their Facebook page. All this happens, within a fraction of seconds. You just can’t ask for a better service from the social networking giant. Besides that, you can also search for people as you do in the Facebook app. Apart from just seeing who’s calling you, such features make Facebook Hello a better option to choose. It’s just like your caller ID and Facebook now wants to replace it on your Android phones. With this, Facebook is clearly aiming to make its mark in everywhere. The app is being tested by the Messenger Team of Facebook. So we can expect many changes after its first update. Give it a spin and let us know how you like Facebook Hello Caller ID app. 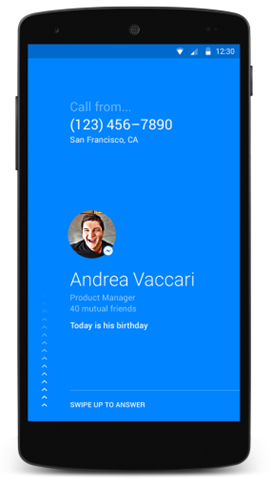 Its not only a competitor for truecaller but for VOIP calling apps also. it`s there in play store , but message pops up “can`t b installed in yours device country “. The problem is, right now it isn’t compatible with Android version 4.4.4. It requires a minimum of Lollipop, which in my opinion is a big downfall for this application, as not a lot of users will be able to take advantage of it.